RC101 completed their second term. Matthijs la Roi is directing this research cluster together with Tim Lucas and Jelle Ferringa. 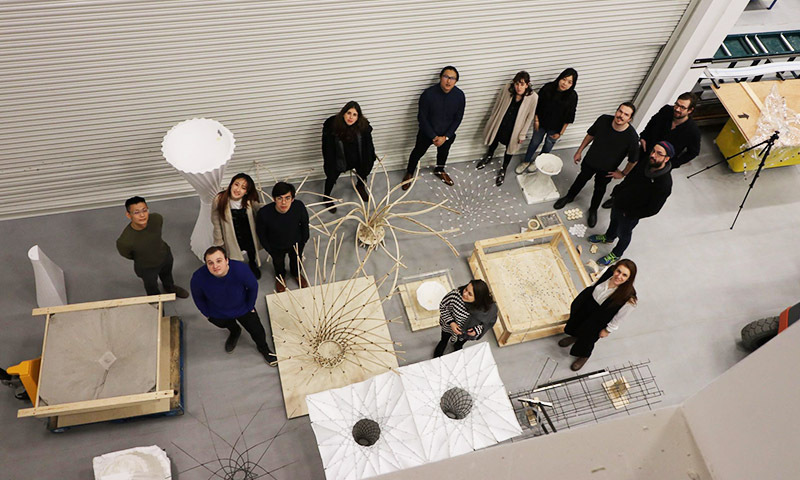 The cluster is part of the 15 month Master program: Design for Manufacture at the Bartlett School of Architecture in London. The students worked on 1:10 models of an house using various means of fabrication. The fabrication methods included laminating curved timber, robotic hot wire cutting, welding and fabric form work casting. Next term the students will focus on 1:1 prototypes which should result in the 1:1 realization of a small house.